In a home workspace once reserved for sewing projects, Kim Williams-Guillén has made way for a 3D printer. But the purpose of the machine isn’t so much for arts and crafts as it is for conservation. For the past year and a half, she’s been using the printer to build devices designed to track poachers who steal sea turtle eggs. Williams-Guillén is an ecologist and director of conservation science at Paso Pacífico, a nonprofit organization focused on preserving biodiversity in Nicaragua. In 2015, she and her colleagues entered a competition called the Wildlife Crime Tech Challenge, overseen by USAID, which called for ideas to fight illegal wildlife trafficking. 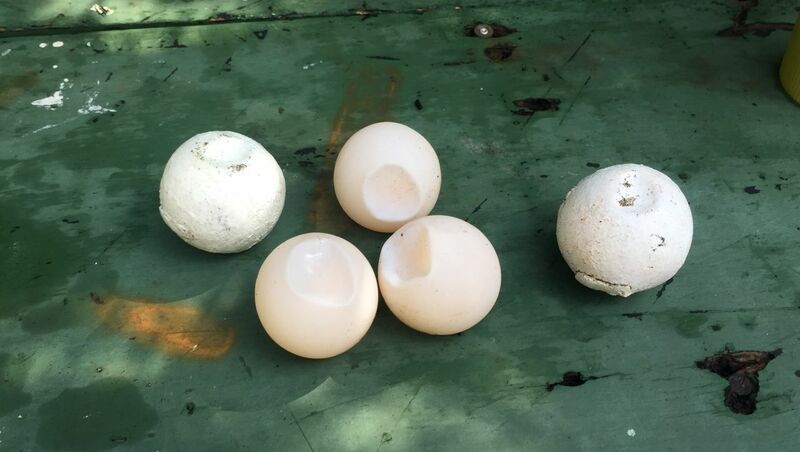 “Illegal trafficking of wildlife is one of the big issues that we’re dealing with in Nicaragua in conservation,” says Williams-Guillén, and sea turtle egg poaching is a consistent and pervasive problem. “They’re considered a delicacy, and at least within local lore, they’re an aphrodisiac as well, which is part of the appeal,” she says. 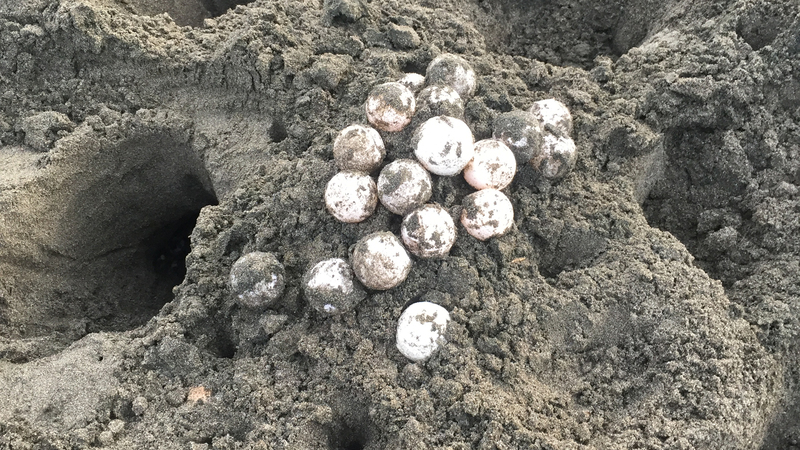 After a bit of brainstorming, an idea dawned on her: implant fake sea turtle eggs with geolocators, and stick them in fresh sea turtle nests. If the decoys looked real enough, unsuspecting poachers might nab them along with the real eggs, thus revealing their movements to conservationists interested in mapping out trafficking routes. “For example, it’s been hypothesized that a lot of the sea turtle eggs that are sold in Guatemala and El Salvador are coming in from Nicaragua, because Nicaragua has many more turtle nesting beaches than those countries,” says Williams-Guillén, who’s also a visiting scholar at the University of Michigan, “and if that’s the case, how are they going in?” Tracking devices could shed light on the question. Her concept draws inspiration from pop culture, says Williams-Guillén. In an episode of the AMC show “Breaking Bad,” one of the characters discovers a GPS tracker stuck to a barrel containing the chemical methylamine, and in an episode of the hit HBO series “The Wire,” detectives hide a recording device in a tennis ball. Paso Pacífico submitted the idea, now known as the InvestEGGator, to the Wildlife Crime Tech Challenge and was selected in 2016 as one of 16 winners, out of 300 applicants. And just a few weeks ago, the Challenge awarded Paso Pacífico an additional $100,000 “acceleration” prize to further develop the project. One of the initial challenges in designing the InvestEGGator was achieving the texture of a sea turtle egg shell, which is softer than that of a land turtle egg. “We knew we were going to have to find something squishy,” says Williams-Guillén. A tip from a fellow contest winner led her to NinjaFlex, a type of flexible filament used in 3D printers. Once she got her printer, she set to work creating prototypes. In her quest for verisimilitude, Williams-Guillén realized that she needed outside expertise. In a real egg, “the yellow of the yolk kind of glows through the outer white shell,” she says. “It’s complicated to try and replicate that.” For help, she turned to Los Angeles-based special effects makeup artist Lauren Wilde, who experimented with different paint applications. The current InvestEGGator design “looks basically kind of like a ping-pong ball with a divot in it,” says Williams-Guillén, and it weighs approximately 40 grams, or about as much as a large Baltimore oriole. Crack the shell open, and you’ll find a small rechargeable battery and a GPS/GSM transmitter that collects positioning data from available satellites and cell towers. In a side-by-side comparison, distinguishing the fake egg from a bona fide one would be easy, says herpetologist Helen Pheasey, but “once they’ve been in the nest and they got a bit of sand on them, [it’s] very, very difficult to tell the difference, even if you’re looking for them,” she says. Pheasey, who’s working on her Ph.D. in biodiversity management at the University of Kent in the U.K., has been field-testing a batch of the InvestEGGator devices in green sea turtle nests in Central America (she prefers not to name the specific location). Her goal is threefold: to see if the technology works, if the design needs cosmetic tweaking, and if the presence of the faux eggs affects the health of real turtles incubating alongside them. “So far, we’ve ticked all the boxes that we’re looking for,” says Pheasey. Indeed, preliminary data suggest that poachers have been fooled—the team has tracked some of the decoys to local destinations, and another to the middle of a river, some 60 kilometers or so away (a poacher probably tossed the egg after discovering the trickery). And from what Pheasey has observed thus far, the devices don’t seem to have affected hatching success or caused abnormalities. “We’re really, really happy with the results,” she says. The InvestEGGator concept still has kinks to iron out, says Williams-Guillén. For instance, limited cell networks could inhibit data collection along some beaches. Williams-Guillén would also like to create decoys better suited to other species, such as hawksbill turtles, whose eggs are smaller and would require tinier technology than what she’s currently using. Further, if more conservationists want to use the eggs, Paso Pacífico must ramp up production to meet demand. To that end, the organization is working with a manufacturer who will help them mass-produce the eggs. But conservationists who successfully deploy the eggs will still likely face an intractable problem down the line: cracking down on poaching once trade routes have been identified. There are budding signs of hope. A study published in September in Science Advances found that numbers of the world’s seven sea turtle species (six of which are listed as vulnerable, endangered, or critically endangered) are growing overall. “Positive trends in abundance are likely linked to the effective protection of eggs and nesting females, as well as reduced bycatch,” the authors wrote. Julie Leibach is a freelance science writer and editor based in Brooklyn, NY. In two past lives, she was an editor at Science Friday and at Audubon Magazine.